Created in 2007, the development academy was established to primarily focus on youth player development in the United States. 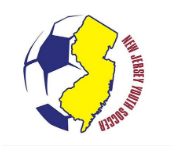 The league consisted of 64 elite youth soccer clubs from around the country in its inaugural season. Each team is comprised by geographic proximity, with two age groups (U-15/16 & U-17/18). These 64 teams were divided into eight conferences with each team playing approximately 30 home and away matches during an eight-month season. Currently in its fifth season, the program has expanded to 78 clubs competing in ten geographically-based divisions. Although some attributes have changed during the past four seasons, the basic mission and principles remain intact: increased focus on training, meaningful competition and a providing a direct connection to U.S. National Team programming. U.S. Soccer's Development Academy program is driven by the game and its players, coaches and referees. This game-centric approach allows for long-term development to occur through a deep understanding of what makes players successful around the world. As the sport of soccer grows in the United States, young players in our country need the proper environment to compete against the world's elite. The U.S. Soccer Development Academy program provides the optimum developmental environment for the nation's top youth soccer players, coaches and referees by emphasizing development through quality training and limited, meaningful competition. Academy teams spend a greater amount of time focused on training to improve as individuals and as a team. The teams and players receive direct feedback and evaluations from National Team Staff in both training and game environments. In 2012, Academy teams will be exposed to mental testing using the EXACT Sports MAP system. Using a multitude of feedback systems, each athlete gains a greater understanding of how he compares against his peers and what he needs to do to achieve their optimal performance levels. The Academy program features teams from the top youth clubs from around the country. Each Academy team plays approximately 30 regular season games to ensure all games are meaningful. Games are also played according to FIFA's Laws of the Game and officiated by a pool of the nation's top young referees in order to prepare players for the next level of competition. Members of our Men’s National Team Scouting Network regularly attend Academy games, so players are evaluated over the course of the season and in their natural positions allowing for the best player assessment. As the program enters its fifth year, it has already dramatically impacted the player development process in the United States. 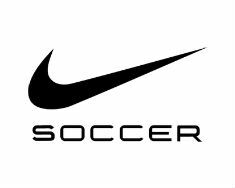 At the end of 2011, almost half of all players involved in the youth national team player pool since 2007 have come from within the Academy program and approximately 75% of each graduating class from the Academy participates in college soccer the following fall. Virtually all college programs use the Academy program as a scouting vehicle and the program has received increased attention from professional scouts representing domestic and international clubs. Notable alumni from the program have flooded the domestic and international professional scene. Recent internationals include: Josh Gatt (Molde FC), Sean Cunningham (Derby County), Marc Pelosi and Villyan Bijev (Liverpool). Many domestic players are continuing their career in MLS, including Bill Hamid (D.C. United) Juan Agudelo (New York Red Bulls). We have more to look forward to after a successful 2012 MLS Super Draft in which Andrew Wenger (PA Classics, Montreal Impact) was taken as the first drafted player, Kelyn Rowe went third (Crossfire Premier, New England Revolution) and Andrew Jean-Baptiste (Albertson SC) went eighth to the Portland Timbers.